Google or Samsung: Which Android smartphone should you buy? These Android phones’ great cameras, performance and software updates make them the best in their category. 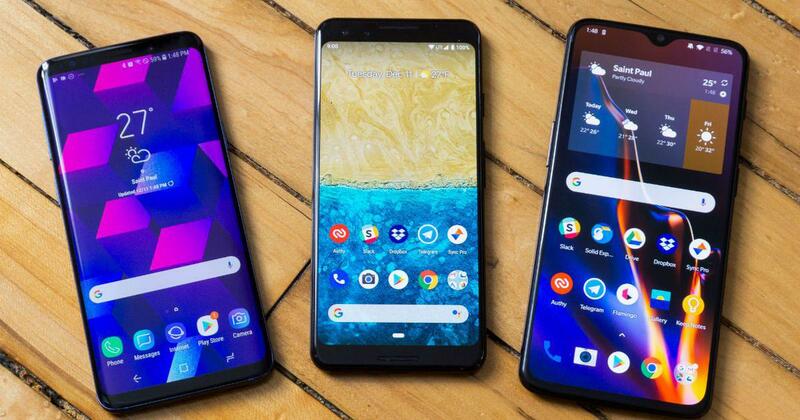 We spend hundreds of hours each year testing the latest Android smartphones in everyday use, and we think the Google Pixel 3 and Pixel 3 XL are the best Android phones for most people. They have the best software of any Android phone we’ve tested, the best cameras of any current smartphone and impressive build quality. They also get guaranteed Android updates for longer than any other phone. *At the time of publishing, the price was Rs 62,974. The XL offers same performance, software and cameras of the Pixel 3 but has a larger (6.3-inch) display and slightly better battery life. *At the time of publishing, the price was Rs 72,000. Google guarantees monthly updates on the Google Pixel 3 and Pixel 3 XL until October 2021, which is much better than what you get with Samsung, LG, OnePlus or even Android One phones like some of our budget picks. 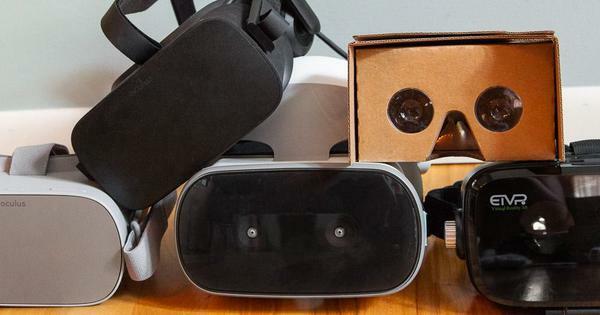 The hardware and build quality are as good as what you can find on the Samsung Galaxy S9, but Google’s matte-glass back is more prone to scratches than the glossy glass back on other phones. The S9 has the best display of any phone, a glass and aluminium body that looks nicer than the Pixel’s and a camera that’s almost as good, but suffers from slower performance and a worse software-update policy. *At the time of publishing, the price was Rs 46,950. The S9+ has same design as the S9 but offers an even bigger screen and dual rear-facing cameras for zooming in without losing detail and for adding depth effect to photos. *At the time of publishing, the price was Rs 54,999. 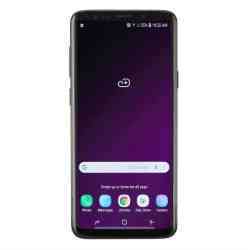 The Samsung Galaxy S9 and its larger sibling, the Samsung Galaxy S9+, have some features that the Pixel 3 phones don’t, such as a microSD card slot and a headphone jack. These phones have the latest curved OLED screens from Samsung – the best we’ve ever seen on a phone – and the bezel surrounding the screen is tiny. The Galaxy S9’s camera has an adjustable aperture, so it can take brighter low-light shots while also getting sharper photos in brighter light, though we still like the Pixel 3’s camera more overall. On top of that, Samsung’s software updates aren’t nearly as prompt as Google’s. Software: A clunky version of Android can ruin the experience, and even the most powerful hardware won’t matter if the maker didn’t optimise Android well. Phones that have fewer manufacturer modifications run better and are easier to use. Your smartphone will also end up containing a lot of personal data, so security is important – a phone that ships with outdated software, doesn’t get security patches or has a documented history of security flaws is not a good purchase no matter the price. Battery life: If a phone can’t last through a full day of heavy use, it’s not worth buying. Some phones offer multi-day battery life, but that’s not a requirement for most people. As long as the phone lasts until bedtime, that’s good enough. Build quality: Android smartphones can be expensive. A phone with bad build quality could break before you even finish paying it off. Phones should use high-quality materials like aluminium, ceramic and Gorilla Glass, and the device shouldn’t bend or creak when stressed. Another reason to consider an upgrade is if your current phone isn’t receiving software updates anymore. Without updates, your phone will get less secure over time – all software has bugs, which lead to security vulnerabilities, and if your phone isn’t getting updates, it isn’t getting fixes, either. And without updates, the phone won’t be able to take advantage of apps that require features present only in the latest OS. When it’s time to buy a new phone, we recommend getting the best-rated, most recently released phone you can afford. We don’t recommend saving money by getting whatever cheap phone is on offer. Those inexpensive phones often have some combination of substandard specs, poor build quality, a bad interface and an outdated, crufty version of Android that will never see updates again. You’re almost always better off paying a bit more to get a newer and better phone that you’ll enjoy using for at least two years. 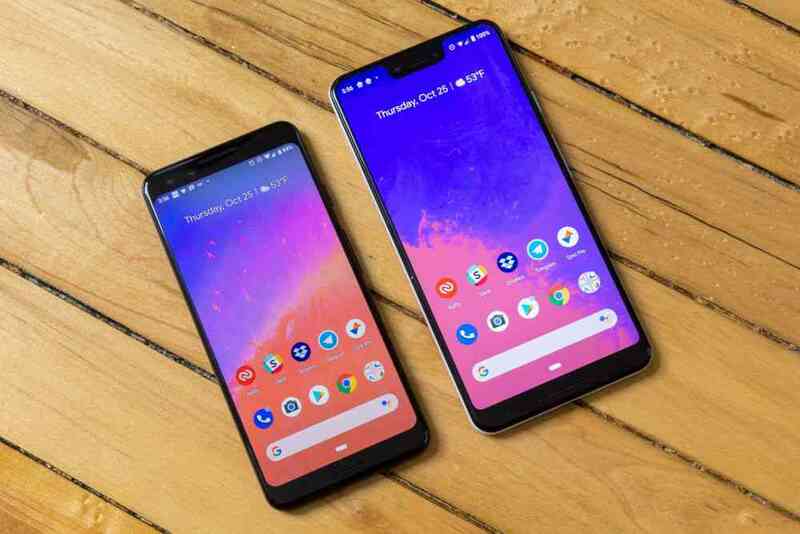 The Google Pixel 3 and Pixel 3 XL – two sizes of the same phone, with 5.5-inch and 6.3-inch screens, respectively – have the newest, fastest version of Android, the best camera performance regardless of lighting conditions and excellent displays. Google guarantees monthly updates on these phones until October 2021, which is much better than what you can expect with Samsung, LG, OnePlus or even Android One phones like some of our budget picks. The hardware and build quality are as good as what the Samsung Galaxy S9 offers, but Google’s matte-glass back is more prone to scratches than the glossy glass backs of other phones. The Pixel 3 (left) and Pixel 3 XL (right) have the same camera, processor and software, but the XL is larger and includes a notch cutout at the top of the screen. Photo credit: Ryan Whitwam. The Pixel 3 and 3 XL both run Android 9 Pie, and Google’s 2018 Pixel phones are guaranteed to get monthly security updates, as well as full system updates to new versions of Android, until autumn 2021. (Samsung releases security updates only every two or three months, even on flagship phones like the Note9.) 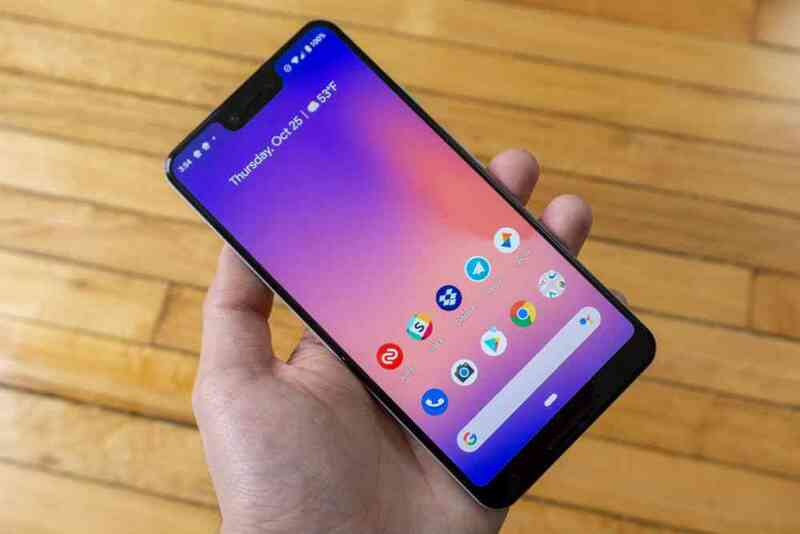 That means the Pixel 3 and 3 XL will get Android Q, R and S – other flagship phones tend to get one or two major updates at best, and cheap phones are usually in the zero to one range. The 2018 Pixel phones offer the best camera performance of any Android phone we’ve ever tested, and in many cases it’s as good as or better than the camera performance of Apple’s iPhone XS. 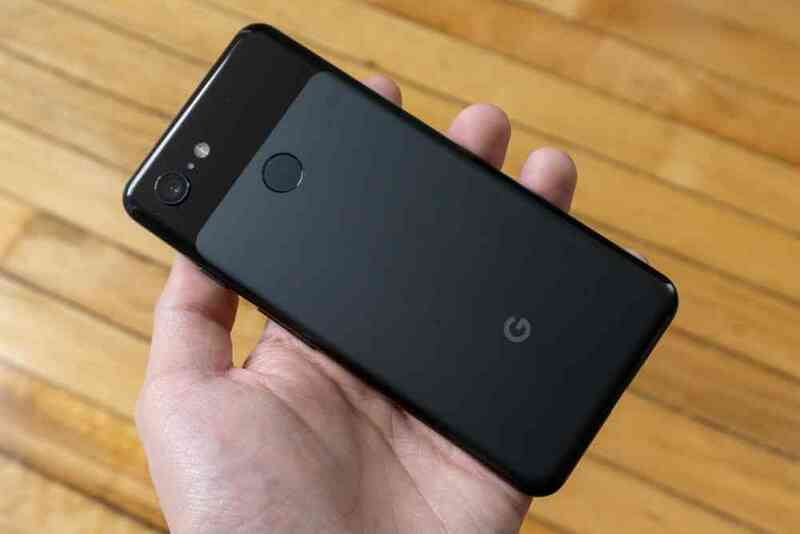 Both Pixel models have a single 12-megapixel camera on the back and dual 8-megapixel sensors (one regular and one wide-angle) on the front. The front and rear cameras take impressively sharp and accurate shots in any lighting conditions. Google’s HDR+ image processing brings out detail and maintains even exposure across the frame while lowering noise. The Pixel 3 and 3 XL also support “motion auto focus” on the main sensor, allowing you to tap on a person, pet or anything else to lock focus as the subject moves around the frame. The feature works extremely well compared with similar functions on other phones like the Samsung Galaxy S9. Google’s phones also have an AI-powered digital zoom that is almost as good as the optical zoom on phones with multiple rear cameras like the Galaxy S9+. The typical rear-mounted fingerprint sensor. Photo credit: Ryan Whitwam. 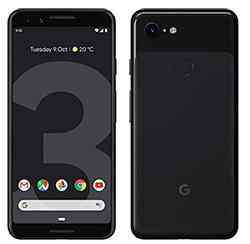 The Pixel 3 comes in two versions: the standard Pixel has a 5.5-inch OLED screen with a resolution of 2160×1080. The XL has a 6.3-inch screen at 2960×1440. The 3 XL’s display also has a large notch (cutout) at the top of the screen for the front-facing cameras. DisplayMate tested the 3 XL and found that its colours were “visually indistinguishable from perfect,” though Samsung’s latest OLED displays on the Galaxy S9 and Note9 were a bit brighter and more even and visually consistent in low light. Google is one of the few companies making a (relatively) compact flagship phone – the 5.5-inch Pixel 3 is just as powerful as the larger Pixel 3 XL. Both phones have a Snapdragon 845 processor, 4 GB of RAM and 64 GB or 128 GB of storage. Both have battery life that’s at least as good as that of other high-end phones – they’ll easily last through a day of heavy usage, or almost two days of light usage. Because the Pixel 3 XL’s larger size lets it hold a bigger battery, that model lasts a little longer on a charge, but the difference is minor. You should get the size that you find more comfortable to use. 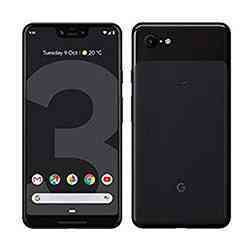 Unlike past Pixel models, the 2018 versions have glass backs instead of aluminium backs. This design enables wireless charging, which hasn’t been available on Google phones since the Nexus 6 in 2014. The bottom three-quarters of the Gorilla Glass panel is etched to achieve a matte finish – it feels more grippy than smooth glass and hides fingerprints well, but it scratches more easily than smooth glass. The Pixel 3 and 3 XL have an aluminium frame that adds to the strength of the glass, and they’re both IP68 rated for dust and water resistance. The Pixel 3 lacks a headphone jack, which is becoming a common omission on flagship phones – Samsung is the only major phone manufacturer that still includes a headphone jack. Instead, the Pixel 3 comes with a USB-C-to-3.5 mm adapter and a set of USB Type-C headphones that sound much better than we expected for a bundled accessory. The Pixel 3 also doesn’t offer a microSD card slot like Samsung’s Galaxy S9 models do, so you should buy the 128 GB version (which adds on to the cost of the phone) if you’re concerned that 64 GB won’t be enough. And although the Pixel 3’s 18 W USB-C charger is slightly better than the 15 W one that ships with the Galaxy S9, you need to buy Google’s expensive Pixel Stand if you want 10 W wireless charging. The Pixel 3 will charge at only 5 W on standard Qi chargers, (for reasons unclear, since Qi can go up to 15 W), though Google says it will certify “Made for Google” 10 W chargers from third parties. Although the etched-glass back hides fingerprints and makes the Pixel 3 phones nicer to hold than smooth, slippery-glass phones, it’s also easier to scuff and scratch than smooth glass. Putting the Pixel 3 in a pocket or bag with coins will scuff up the back, but most of those marks wash off. A sharper object will probably leave permanent marks, similar to scratching an aluminium phone. The Pixel 3 XL offers more viewable space than the Pixel 3, but the 3 XL’s screen has a giant notch at the top to make room for the phone’s dual front-facing cameras. This design quirk is divisive – some people don’t mind it and others hate it. Functionally, the notch limits how many status and notification icons can appear in the status bar, which is annoying. 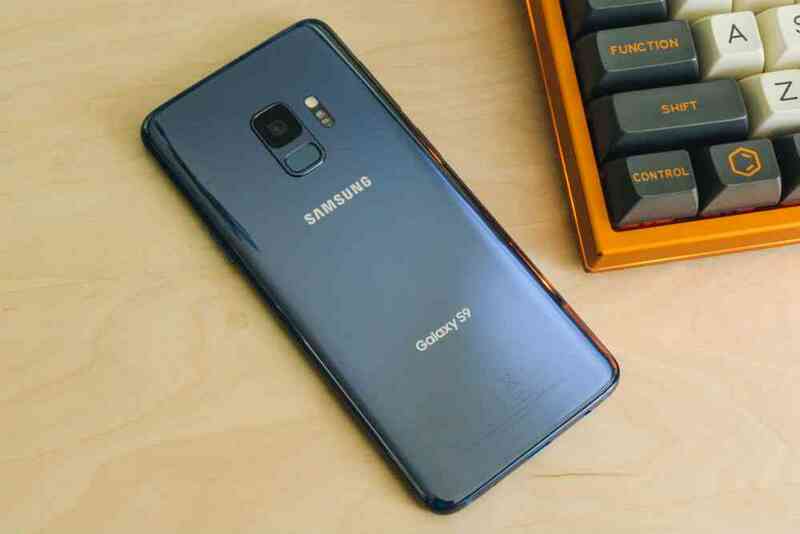 If you want a brighter display or features such as a microSD card slot or a headphone jack, the Samsung Galaxy S9 or Galaxy S9+ is your best bet. 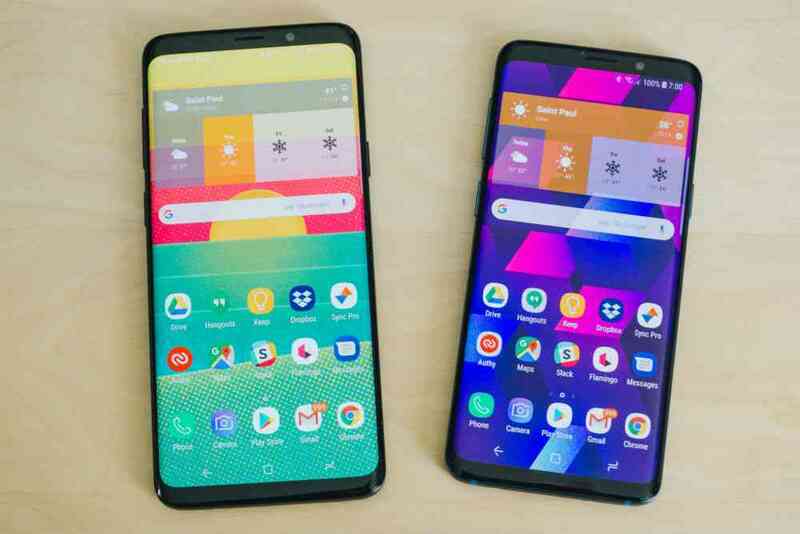 Samsung’s latest phones do most things nearly as well as Google’s Pixel 3, and as with the Pixel versions, the main difference between the Galaxy models is screen size, in this case 5.8 versus 6.2 inches. The S9’s main camera is almost as good as the Pixel 3’s, and the S9+ adds a second rear camera for 2x zoom shots. But Samsung’s software is slower and more cluttered. Updates will take much longer than on Google’s Pixel phones, as well. Next to the Pixel 3’s 18:9 aspect ratio, both the 5.8-inch S9 and the 6.2-inch S9+ have a taller, 18.5:9 screen aspect ratio, along with a slimmer bezel that fits more screen area into a typical phone footprint. (The Pixel 3’s body is the same size as that of the S9, but the Pixel’s screen is only 5.5 inches.) Samsung’s curved OLED screens are also among the brightest and sharpest we’ve ever tested – the S9 display can get twice as bright as the Pixel 3 outdoors. Both the Galaxy S9 and S9+ have a 12-megapixel main camera sensor featuring an adjustable aperture – f/1.5 and f/2.4. This means the camera lens can physically adjust to let in more or less light, just as on a standalone camera. The Galaxy S9 can take impressively bright low-light shots and crisp outdoor images, so it has more range than other phone cameras. However, Samsung’s HDR processing still doesn’t cope with dark and light areas in the same photo as effectively as the HDR of the Pixel 3 and 3 XL, and shutter speeds tend to be too long. This leads to blurriness when your subject is moving, even with the help of above-average optical stabilisation. The addition of a secondary zoom camera on the Galaxy S9+ doesn’t change the equation: although the Galaxy S9 bests every Android phone that isn’t a Pixel, the Pixel takes better pictures overall. And Samsung’s camera app is more confusing than Google’s. The Galaxy S9 has a sleek glass back, and the fingerprint sensor is in a better place than on the older Galaxy S8, which had it next to the camera. Photo credit: Ryan Whitwam. The metal and glass body of the Galaxy S9 is solid, and it curves in the right places to fit comfortably in the hand. The phone looks beautiful, but it picks up fingerprints as soon as you handle it. It’s also slippery and fragile with all that glass. We like Samsung’s pressure-sensitive home button: it’s similar to Apple’s 3D Touch but just on the bottom part of the screen, and you can hard-press this spot to trigger the home button at all times, even if the navigation buttons are hidden by full-screen content or the phone is asleep. Samsung put the fingerprint sensor in a better location than it did on the Galaxy S8 (below the camera instead of next to it), though the sensor is still not as fast or accurate as the one on the Pixel 3. The Galaxy S9 is IP68-rated for dust and water resistance, which means it’ll keep working even after being fully submerged in 1.5 metres (about 5 feet) of water for half an hour. The Galaxy S9 and S9+ were the first phones to come with the Snapdragon 845 chip, offering less lag and better battery life than the Galaxy S8. But Samsung’s software makes the S9 models less smooth and consistent than the Pixel models in multitasking or installing apps. Battery life is about the same for both S9 models – although the S9+ has a larger battery (3,500 mAh versus 3,000 mAh for the S9), that model’s larger display consumes more power – but the Pixel 3 and 3 XL will give you several more hours of standby or an extra hour or so of usage per charge. The Galaxy S9 does include 15 W wireless charging, which is faster than the Pixel 3’s 10 W wireless charging (and the Pixel is limited to 5 W unless you use Google’s Pixel Stand or a “Made for Google” licensed charger). 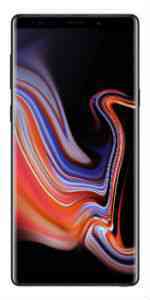 However, Samsung’s wired fast charging tops out at 15 W, slower than that of the Pixel 3, the LG G7, the OnePlus 6 and many other phones, which can manage between 18 and 20 W.
The Galaxy S9 packs a lot of screen into a small device. Photo credit: Ryan Whitwam. 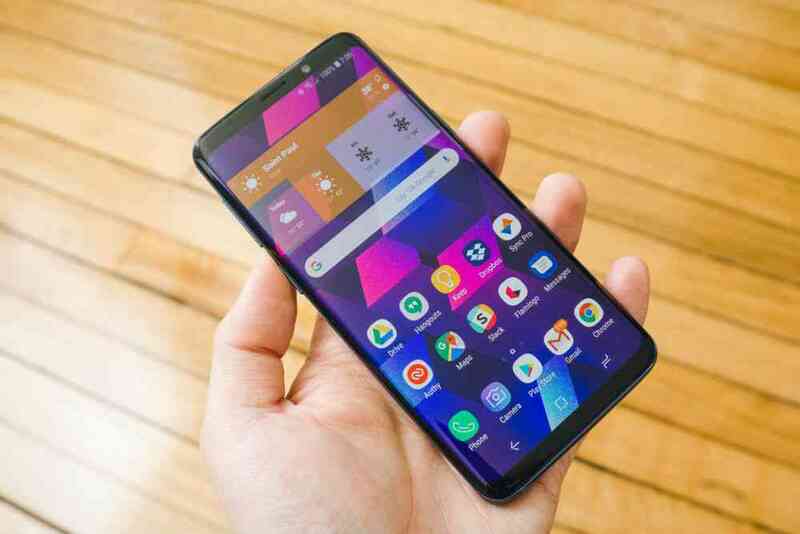 Samsung’s version of Android has improved over the years to the point that it gets most things right – however, it still has a lot of unnecessary features, and Samsung loads phones up with apps that duplicate Google’s mandatory Android apps. Samsung’s home screen is also clunky compared with what Google presents on the Pixel 3, and the mediocre Bixby voice assistant (Android Police calls Bixby “nearly useless”) has a prominent position. You’re better off disabling Bixby and sticking to Google Assistant (though the physical Bixby button on the phone can be disabled but not remapped, which is annoying). And even though Samsung aims for monthly security updates as Google does for the Pixel, Samsung rarely manages that. You do get more updates than on most Android phones, but major feature updates take significantly longer to show up than they do on the Pixel 3. *At the time of publishing, the price was Rs 77,900. The Samsung Galaxy Note9 is a better and slightly bigger Galaxy S9+ with a stylus. The 6.4-inch OLED display is the best we’ve ever seen, and the phone’s camera performance is identical to that of the S9+, which means it’s almost a match for that of the Pixel 3 and Pixel 3 XL. 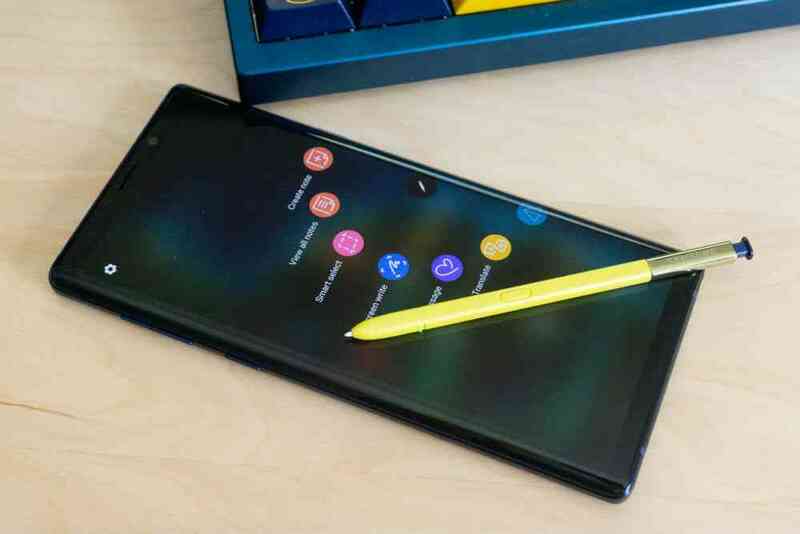 Like Samsung’s other phones, the Note9 has a sleek glass and aluminium body with IP68 water resistance, but it also has a Bluetooth stylus, called the S Pen, that makes this phone great for taking notes or doodling. The button on the stylus can control the camera shutter, your browser and more. However, Samsung’s version of Android can be sluggish and confusing, and like the S9 models the Note9 ships with Oreo instead of Pie. The Note9 is also expensive, and both the Pixel 3 and Galaxy S9 offer a better value. The Note9’s 6.4-inch OLED screen is just 0.2 inch larger than that of the Galaxy S9+, but it has a higher maximum brightness for improved outdoor visibility, and its colour accuracy is “visually indistinguishable from perfect,” according to the experts at DisplayMate. The Note9 feels a little larger than the S9+, though, thanks to a boxier shape and a larger body to hold its bigger battery. The Note9 has the same dual 12-megapixel cameras, with the same image quality, as the Galaxy S9+. As with that phone, the main sensor on the Note9 has an adjustable aperture to allow more or less light to reach the sensor, and the secondary camera has a 2x telephoto lens for taking photos of more-distant objects. The image quality is almost as good as that of the Pixel 3, but Samsung’s camera tends to overexpose some photos even with HDR enabled, and the camera app is more confusing to use than Google’s. The Note9’s stylus, the S Pen, has a battery (technically a super-capacitor) to support its Bluetooth functionality, but it still works unpowered with the Note9 screen for pressure-sensitive, precise input. You can use the S Pen to capture perfectly cropped screenshots, jot notes without waking up the phone, and use handwriting recognition in almost any text field. The Bluetooth connection also lets you use the S Pen’s button to control the camera, Chrome, slideshows and more. The stylus lasts around 30 minutes before you need to insert it into the phone to recharge, a process that takes less than 20 seconds for a full charge. The Samsung Experience version of Android isn’t as bad as TouchWiz was on older Samsung phones, but it’s still slower than stock Android, with a lot of unnecessary features that you’ll just end up disabling. The Note9 is a very good phone, but it’s not the best value – that honour still goes to the Pixel 3, which feels faster, gets quick updates, has a slightly superior camera and costs slightly less. We recommend the Note9 only if you really need the slightly larger, better screen and the integrated stylus. The LG V40 ThinQ is the best phone LG has ever made, but it’s still not as good as the Note9 or Pixel 3 XL, for several reasons. First, the V40’s performance is good, but not up to the Pixel’s. Second, although its battery life is improved from the V30, the Note9 lasts much longer. And third, despite the fact that LG put three camera sensors on the back of the V40, we’d take the Pixel’s fantastic single sensor any day. The V40 might be a good purchase if it comes down in price, but it’s not worth the current price tag when you have so many other good options. The Razer Phone 2 is fast, and its 120 Hz display looks excellent. However, this is a gaming phone, and most mobile games are locked at lower frame rates – the 120 Hz panel is just a waste of power most of the time. The phone is also blocky and huge, making it torturous to hold for long periods. The glowing Razer logo is fun to play with, but it doesn’t add anything to the experience. Google’s phone is better in every way. The LG G7 ThinQ is competent, but that’s not enough reason to get it over the Pixel 3 or Galaxy S9. The G7 ThinQ has a large 6.1-inch screen with a notch at the top (like the iPhone X or OnePlus 6), but the LCD isn’t as vibrant as OLED panels. LG’s cameras, battery life, and Android software are all average, too. The BlackBerry KEY2 is the only current-generation Android phone with a physical keyboard, but you pay for that with a smaller screen and a chunky overall design. The KEY2 also has a midrange Snapdragon 660 processor and middle-of-the-road camera performance. This phone isn’t worth the price unless having a physical keyboard is all you care about. The HTC U12+ has high-end specs and camera performance that almost rivals Samsung’s, but everything else about this phone is a mess. The LCD screen suffers from extreme backlight bleed, and HTC’s Sense version of Android Oreo is dated and clunky. This phone doesn’t even have physical buttons – it has pressure-sensitive nubs where the power and volume buttons should be, and they work poorly. Simply turning on your phone should not be so frustrating.